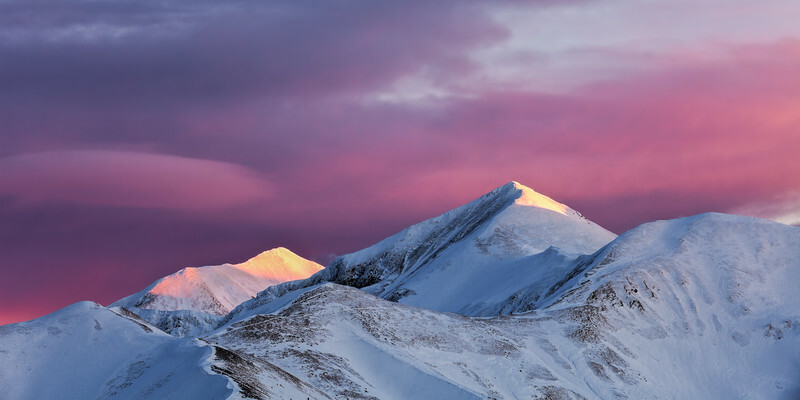 The setting sun illuminates several peaks in Poland's Tatra Mountains, including Trzydniowiański Wierch. 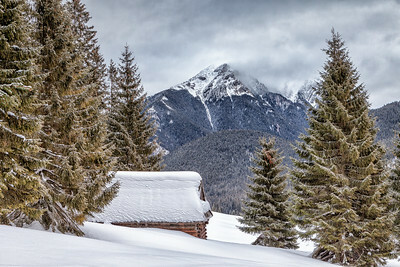 A winter's day in Dolina Chochołowska in Poland's Tatra Mountains National Park. 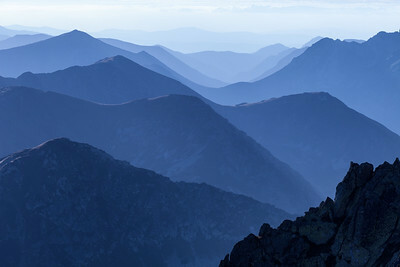 A series of peaks receding into the background in Poland's Tatra Mountains National Park. 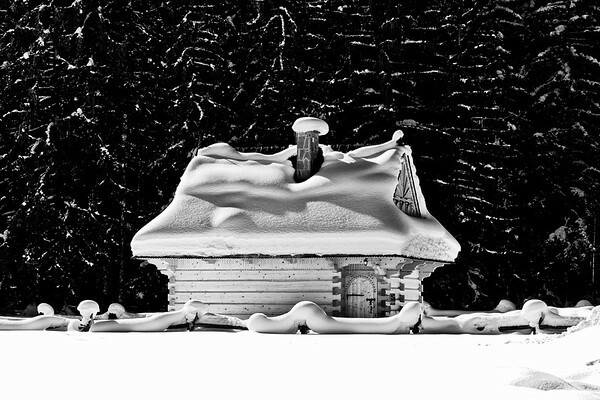 One of Warsaw's main roads, Al. 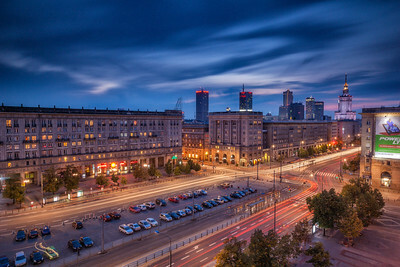 Niepodległości, with a view of Warsaw's skyline at sunset. 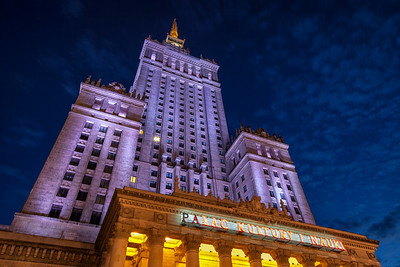 Controversial for some, Warsaw's Palace of Culture and Science is without a doubt the best-known building in Poland's capital. 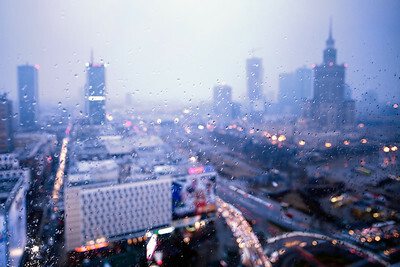 A view overlooking Plac Konstytucja--lovlngly known as Plac K to me and some of my friends--and Warsaw's skyline. 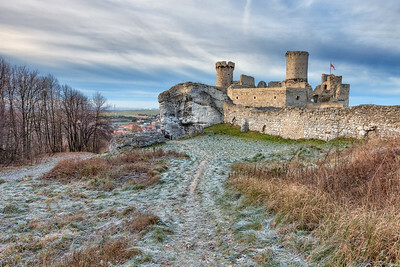 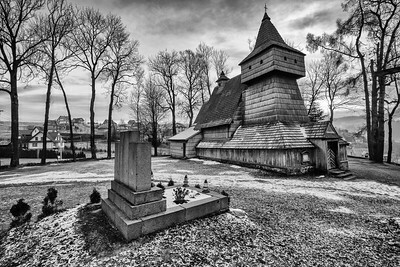 The ruins of the medieval Ogrodzieniec Castle in southern Poland on a frosty day. 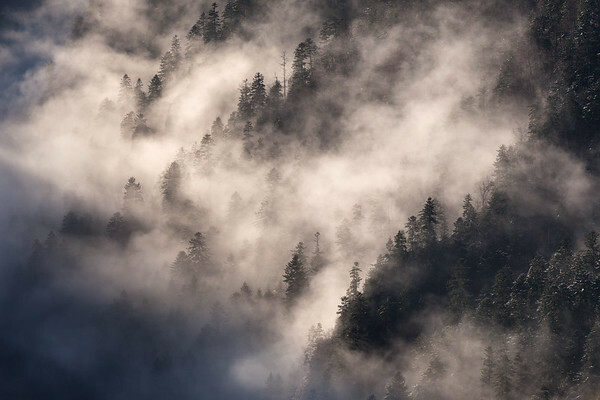 Morning mist shrouds the forest above the Dunajec River in Poland's Pieniny Mountains. 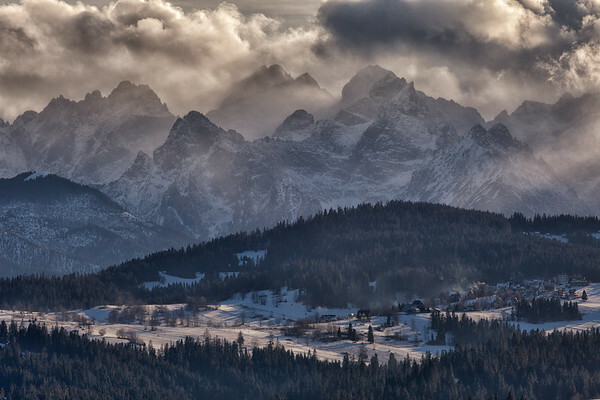 This tiny village is nestled comfortably beneath the might peaks of Poland's Tatra Mountains. 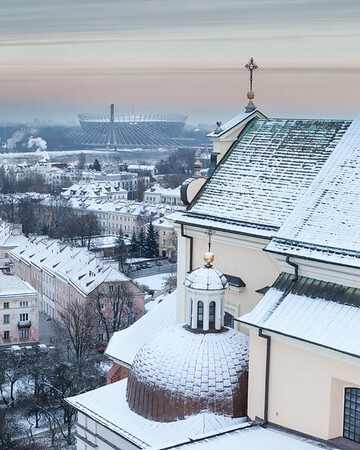 A winter's day in Warsaw, with Poland's recently built National Staidum in the background.